​​​​​​​​Julia, a young widow with two small children, is expelled from her Sudetenland home in post-WWII reprisals by the Czechs. Barely able to survive in refugee camps, Julia struggles to take care of her family. A letter arrives from her first love from twenty years earlier. He has found her through the Red Cross. But is he too late? Julia has just remarried. Will she uproot her life once again? 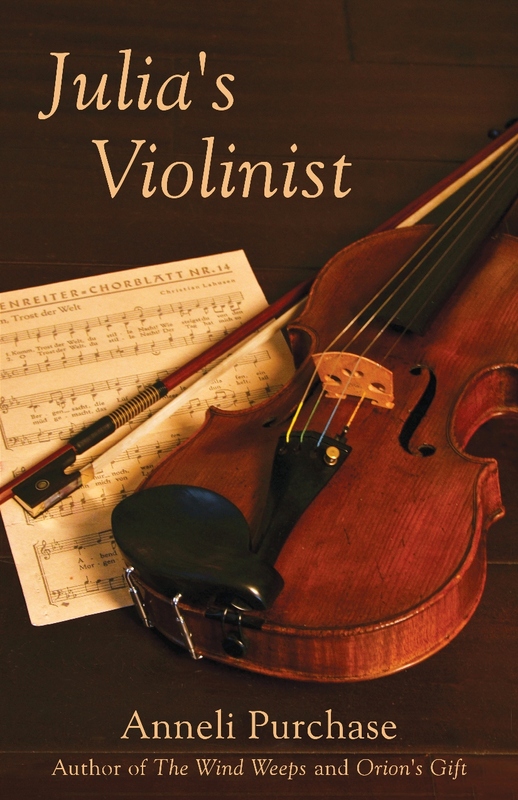 ​I had the good fortune to read Julia's Violinist before publication. One woman's struggle to survive and protect her children in the aftermath of WWII is a war story with a difference. In her novel, Purchase focuses on Julia's determination and her strength of will. Despite all that she endures, she is a survivor. It's Julia who holds her family together during the horror of reprisals and the deprivation of deportation and internment. But Julia's violinist is above all a story of love--for children, parents, siblings and the three men in her life. You will cry for Julia, you will root for Julia, you will cheer for Julia, and above all you will come to love Julia. This is not just one woman's story, but the story of many women, any one of whom it would be an honor and a privilege to know..
We had just come back from a great meal at an Austrian restaurant where … a couple sat down across from us. [The man of the couple] and I made eye contact and the first thing that came into my mind was “KARL!” Somehow he looked just like the Karl in the book whom I really did NOT like ... but I liked the book and I liked her [the author’s] writing. Funny, isn't it, that a character will make such an impression.